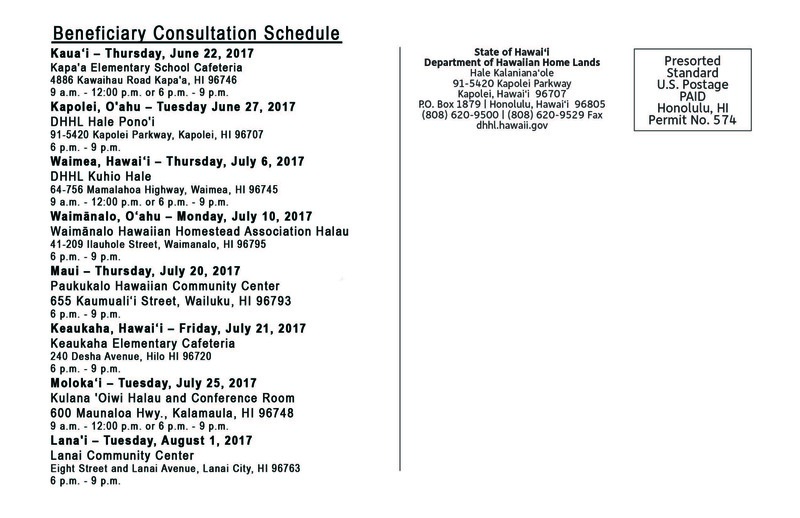 The Department of Hawaiian Home Lands is currently proposing two new sub-chapters for its Administrative Rules. 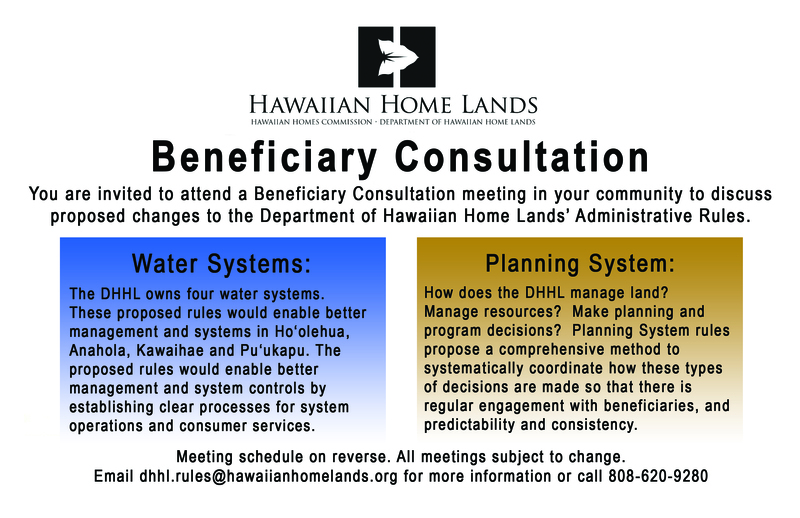 These new sub-chapters would cover DHHL-owned Water Systems and would codify a Planning System. The proposals are intended to increase clarity and certainty in Department processes and functions. This is the second round of rule changes proposed by this administration. Rulemaking could take up to two years to complete. Please click here for a downloadable (PDF) version of the proposed Administrative Rule changes and the Beneficiary Consultation Schedule. 9 a.m. – 12:00 p.m. or 6 p.m. – 9 p.m.